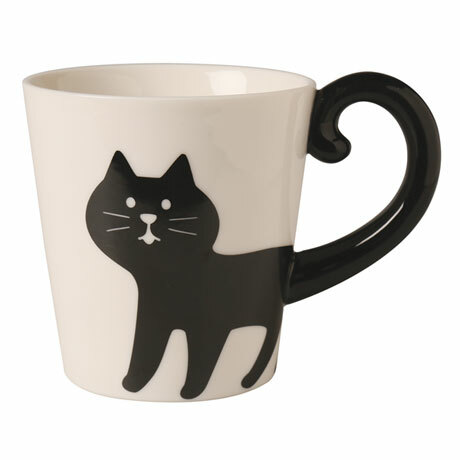 Curling up and out of the mug, the cat's tail becomes the handle. Black or calico? You know that any true cat lover will want both. Ceramic mug about 4" high. Microwave safe.